As I was browsing the internet looking at different bimini tops it occurred to me that they really all look pretty similar. The difference between most of them has a lot to do with price. Price can be influenced by many different variables. The biggest probably being where it was manufactured. 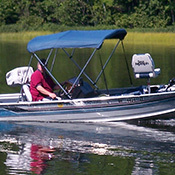 Find a bimini top for under 200.00 with a frame? You can bet it was probably made in China. That is just the way it goes. 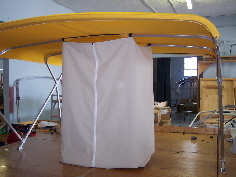 There are also the “cookie cutter” bimini tops and frames out there as well. Nothing wrong with that. 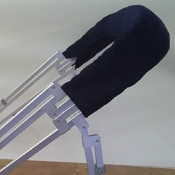 There is a place in the market for those type of bimini tops and frames too. Quality of the raw materials, work force, even location go into pricing out these very similar looking tops. No doubt some are better than others. No doubt about it, you typically get what you pay for. But what if you want something different? Something that will set your boat off from everyone else? 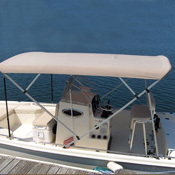 The bimini top is very often the first thing people notice about your boat when you are out on the water. I for one like to be the guy on the water that has something different than everyone else. I like being approached by fellow boaters about my boat and my bimini top. I’ve got a bimini top unlike any other on the lake I’m on. 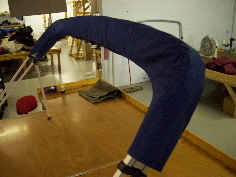 The frame is curved. Not curved side to side – everyone’s does that. No my main bow, front bow, and braces are curved. They “lean back” as my son puts it. We did it for a reason – it looks pretty cool on the boat. It attracts attention. 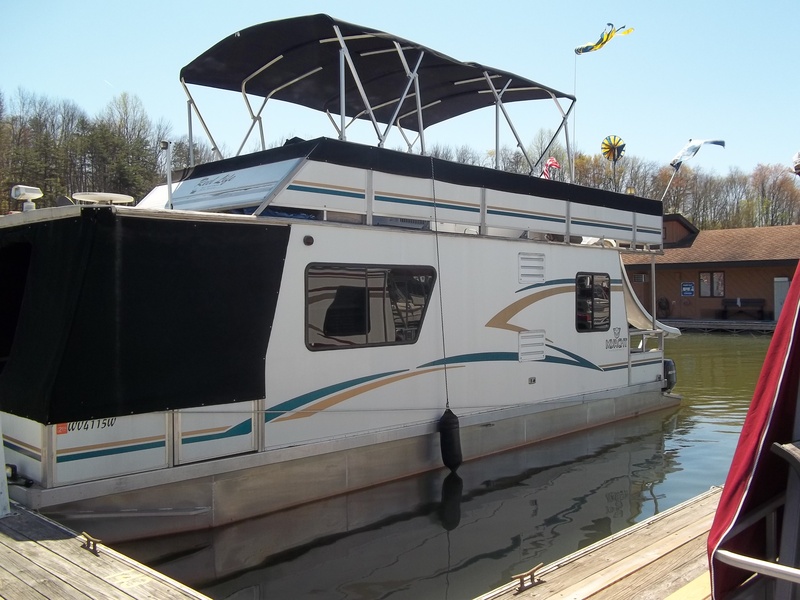 It is different than any other bimini top I’ve seen. There are a couple of boat builders out there doing it now too. It is catching on. I haven’t seen any in the aftermarket yet though – except for mine. 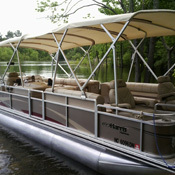 My Northstar Bimini Top with a curved frame. It turns heads wherever I go. Won’t cost you an arm and a leg either. Come check out how we stay ahead of the competition on price, quality, and style. 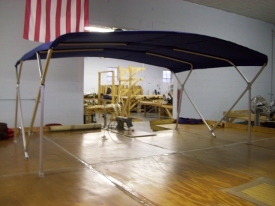 Come check out Northstar Products Inc.